With the waters rising and a moderate snowpack waiting, Missoula County on Thursday issued a resolution for a flood emergency, citing the high potential that the Clark Fork River will at least hit minor flood stage in the weeks ahead. Doing so allows the county to prepare its emergency operations plan and begin coordinating with agencies charged with responding if or when flooding takes place. One year ago, a heavy snowpack and early spring runoff left several neighborhoods around the Missoula Valley inundated with water. The Clark Fork River closed in on 13 feet and remained well above the 10-foot flood stage for several weeks. 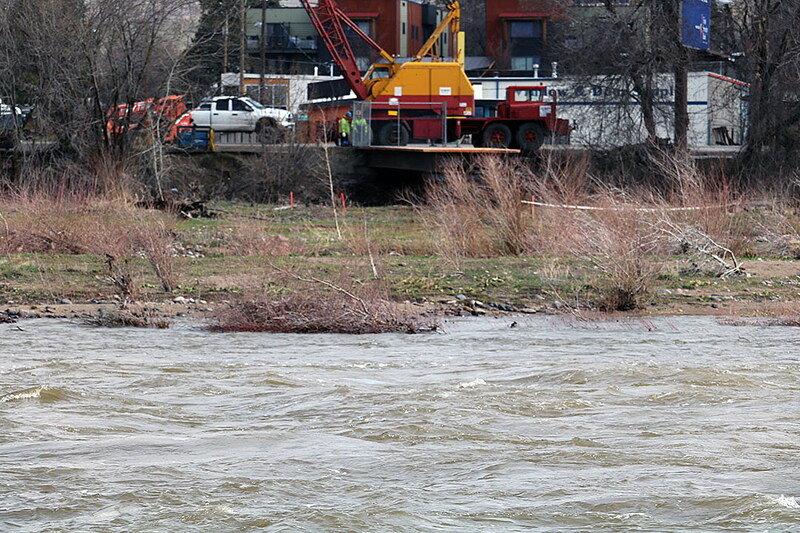 On Wednesday, the gauge above Missoula showed the river at 6.7 feet. After consulting with the National Weather Service, the minor flood stage on the Clark Fork above Missoula was lowered to 7.5 feet. And while this year’s snowpack is about average, history and the region’s changing climate suggests 7.5 feet will become a common occurrence. Using several models that consider snowpack, history and potential, the current scenario suggests a high probability that the Clark Fork will top 7.5 feet in April or May. The county is coordinating with volunteer organizations to ensure sandbags are available. A public meeting is set for April 24 at 6 p.m. at Hawthorne School to apprise residents in low-lying areas of the current conditions. “This (proclamation) allows us to start pulling in all those agencies that have a role to play in flooding, and it allows us to start documenting all our efforts toward flooding, so in the event we’re in a position to recoup those costs, we have good documentation,” Beck said.